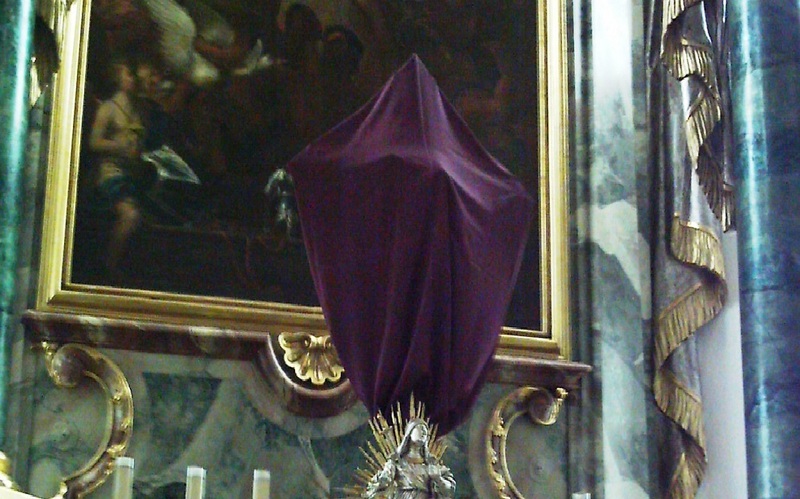 Catholics of a certain age recall crosses and statues draped in purple throughout Lent, an unmistakable sign of the penitential season the Church had entered and invited us to embrace. The prophet Isaiah wrote, “By waiting and by calm you shall be saved, / in quiet and in trust shall be your strength” (30:15). Removing distractions from church interiors was one way to focus our minds on God’s call to a deeper interior life with his Son. Massgoers will notice subtle — but important — changes in the liturgical texts beginning the Fifth Sunday of Lent: a new Preface, and prayers calling us to pay closer attention to Jesus’ passion. Covering statues on this Sunday underscores a deeper step we take with Christ on his Lenten journey.